January is always the month when I tell myself I'm going to get fit... before rain and cold and darkness and life just get in the way (though I'm doing pretty well at keeping up with Yoga with Adriene's 30 Days of Yoga challenge). 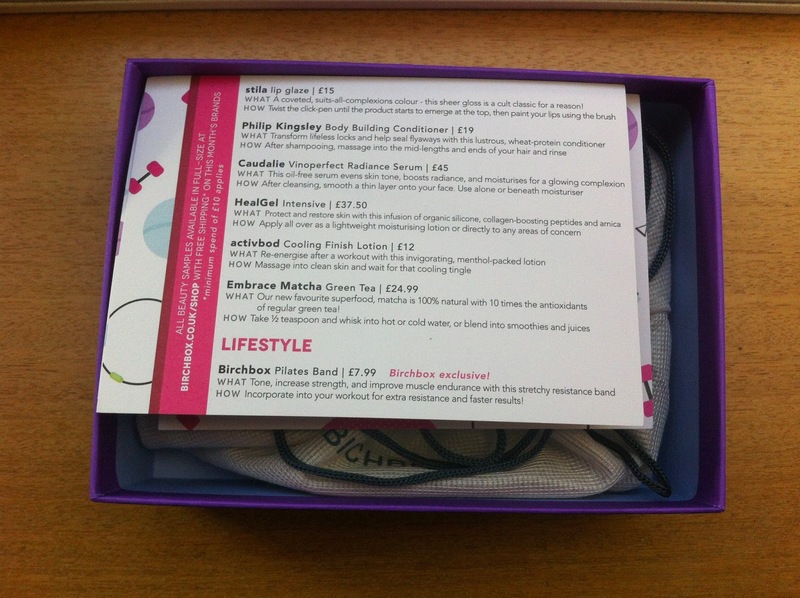 I'm sure many of you reading this will also have embarked on fitness resolutions this month, and this month's Birchbox has tapped into that by teaming up with Women's Health magazine with a 'Hit Refresh' theme - all about making little changes in your life to help you get fitter, healthier and more motivated. I always want to keep the themed Birchboxes, they look so lovely! 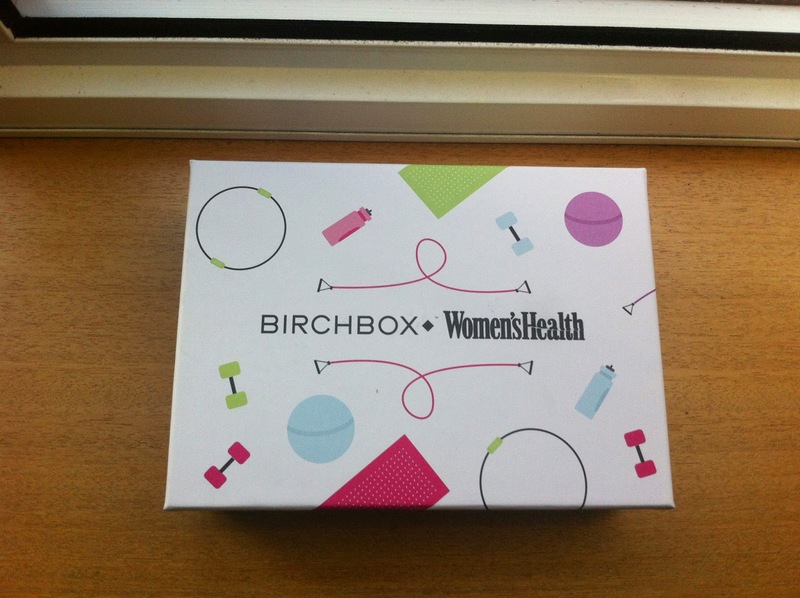 This is one of many products in this month's Birchbox that I'd been keen to try for a while, and I wasn't disappointed. 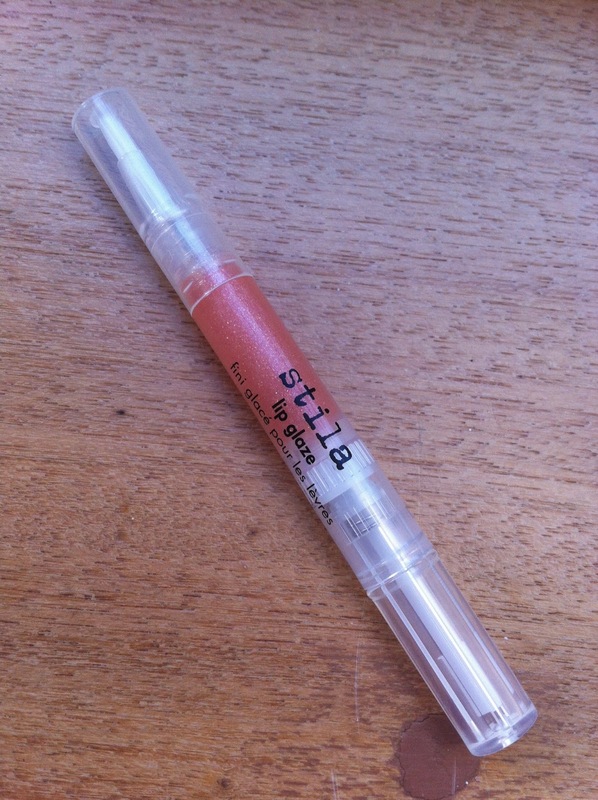 Whilst this peachy shimmery shade isn't necessarily one I'd have chosen for myself, it actually looked a lot more subtle on the lips than it does in the tube and would be a good balance to a strong eye look. The product also has a nice texture without the jamminess you get with some lip glosses and good wear time of around 2-3 hours. I'll definitely be picking up some more Lip Glazes in the future! 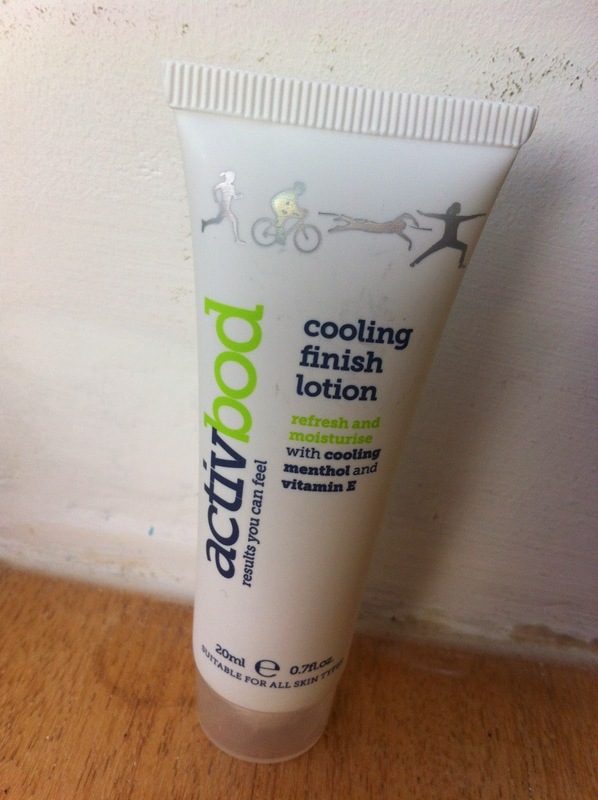 I'm always a bit sceptical about slightly more gimmicky products; after all, body lotion is body lotion, right? So I must admit I wasn't quite sure what would be different about this product, and I have to say the jury's still out. 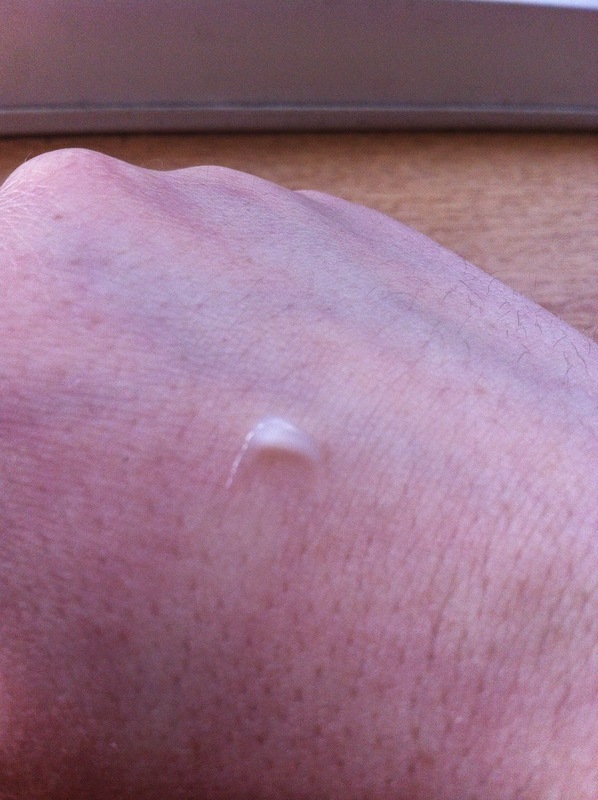 A clear gel texture rather than a traditional lotion, it sinks in quickly and left my skin feeling moisturised all day, but didn't quite work on my dry patches so might be better suited to those with normal skin. It also has a lovely menthol smell which is particularly great for this time of year; I'm currently bunged up with a never-ending cold but breathing this in has been a huge help for clearing my sinuses a bit. 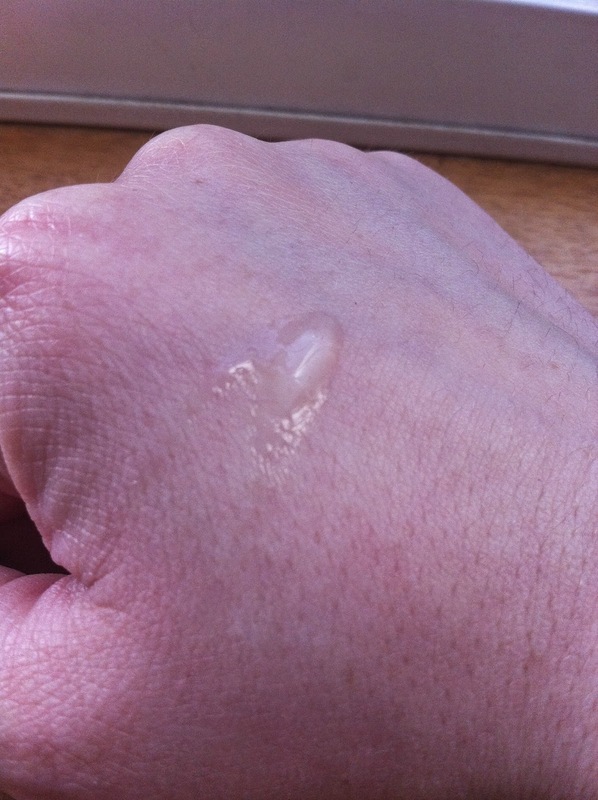 Be warned though, it can leave your hands feeling a bit sticky so make sure you wash them afterwards! 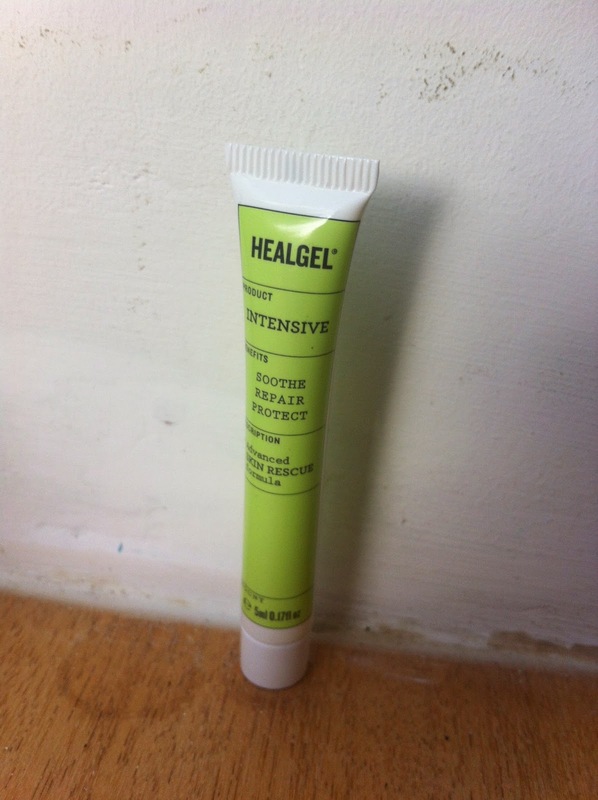 HealGel is another product that's been on my to-try list for ages as I'd heard that it was good for acne scars, which I've suffered from for a while, but also has multiple functions as a moisturiser and primer as well as a scar treatment. It's got a clean, slightly citrusy/herby sort of scent, and my skin absorbed it really quickly as it softened my dry patches but without feeling too greasy or tacky. I've only been using it since Saturday so it's still a bit early to tell if it's working, but my more recent scars have cleared up a lot and, although I've had some small breakouts since I started using it (though I'm not sure if it's the HealGel or the Caudalie serum causing them), they're coming to a head and clearing up much more quickly. I'll persist with it but not sure it's a must-buy just yet. Apologies for the massive swatch there - this is a product where you think there's nothing in the tube and then suddenly there's loads of it! So just a word of warning for when you open it :) That said, I really like this serum; it sinks it really quickly, is easy to massage in and has a pleasant enough herby, slightly sharp smell. 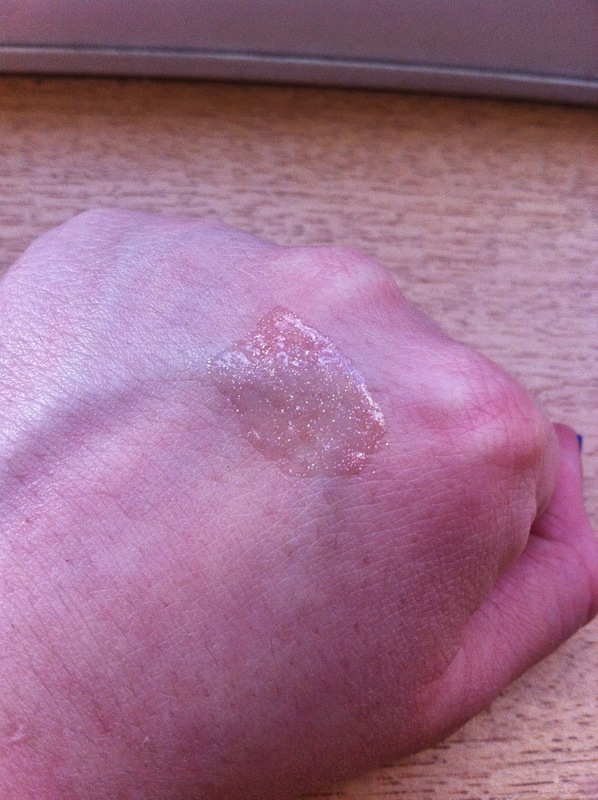 That said, it does make my skin feel a little tight so may be better suited to those with drier skin. 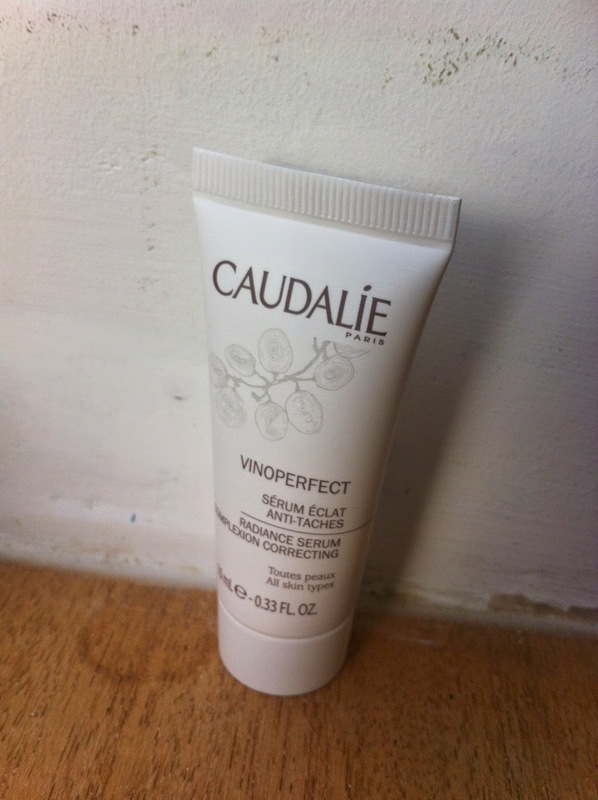 It also aims to reduce dark spots and boost radiance, and whilst I'm not sure about the second part of that I do think my skin tone is looking a lot more even since I started using this (though again it may be a little early to tell). It hasn't quite made it onto the must-purchase list but definitely one to bear in mind for the future. Philip Kingsley products are another brand that I've wanted to try for a while, so I was very pleased to get this conditioner - if a little sceptical that it would work on my thick hair. 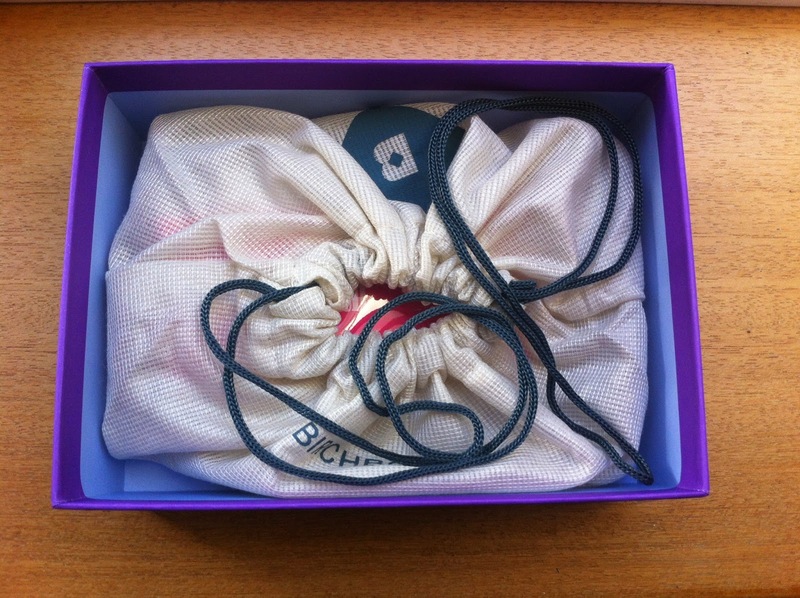 However, I have to say this was the biggest surprise of this month's box. It's really light so doesn't weigh the hair down, smells amazing - I used the tiniest amount of this and the clean-sweet-floral-spicy scent lingered for ages - and leaves my hair looking shiny and feeling soft but without the greasiness of some heavier conditioners. Just a brilliant product. I'd never had matcha tea before trying this one so was intrigued to see what it would be like, and found it surprisingly nice. It's got a very 'green' taste to it (if such a thing exists) but is also slightly sweet, and so makes a very pleasant alternative to other herbal teas on the market. I'm trying to reduce my caffeine intake at the moment and this could be a good option as just smelling it makes me feel healthier! 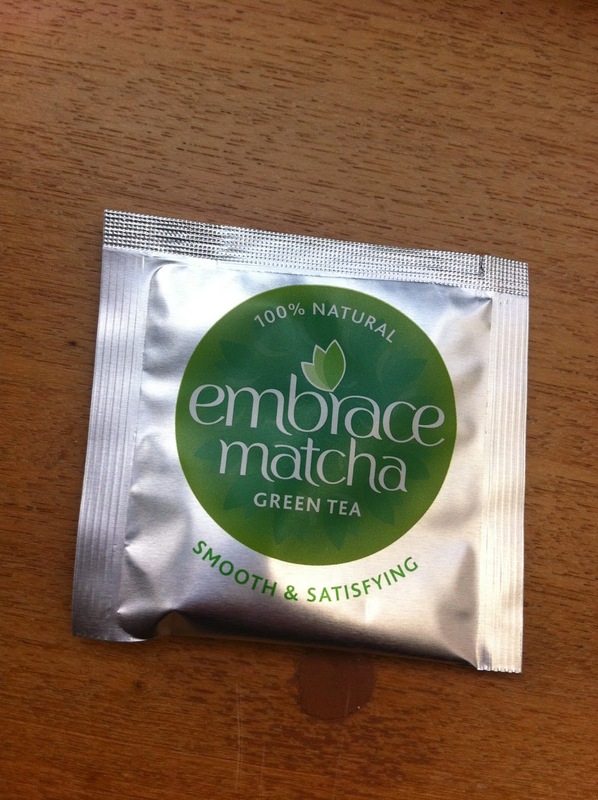 Definitely one to consider if you like herbal tea and are looking for an alternative to regular tea or coffee. It'd be really nice as a post-workout drink as well, though you do need to whisk it to ensure there isn't a residue at the bottom of the cup. I'd been after a resistance band for a while so was very pleased to receive this one. Admittedly in the picture it looks quite flimsy but I've actually found it's quite sturdy and even though I've only been using it for a few days I can already feel it working. I use it round my ankles - both when I'm sat at my desk and to do crab walks during TV ad breaks - and definitely feel a lot stronger. As I mentioned before often our good intentions with exercise can be set back by the January weather so an at-home fitness product like this is a really nice little extra. 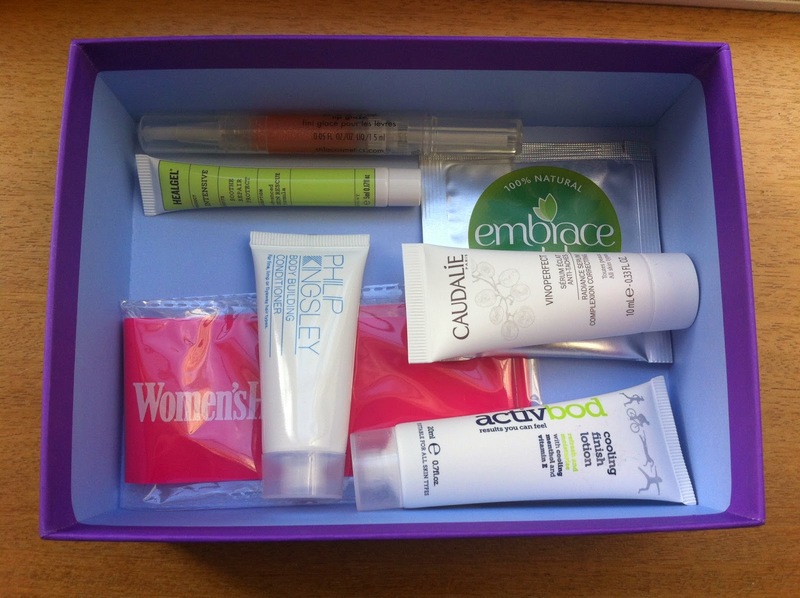 Overall I was really pleased with the January Birchbox - lots of products I was keen to try, all very in keeping with the theme, and (mostly) all successes. I particularly loved the Philip Kingsley conditioner and was also pleased with the HealGel and Stila Lip Glaze. Whilst there aren't any immediate repurchases in there, I've definitely got a few ideas for items to come back to in the future. 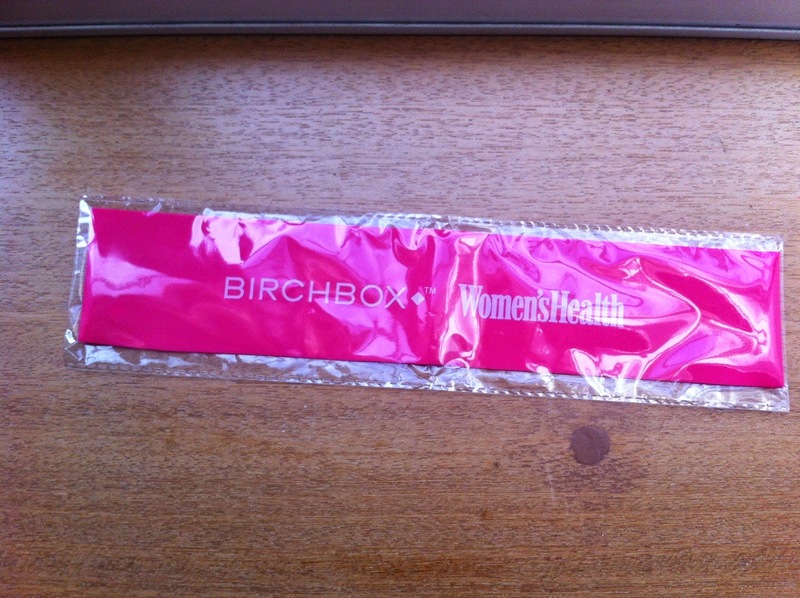 Did you get the January 2015 Birchbox? What did you think of it?